Why White does attach with ? When Black cuts through the White pressing move instead, with and , the position will become difficult for White if she fights on the left. Instead is normal, trying to set up a driving tesuji. a is the common play. 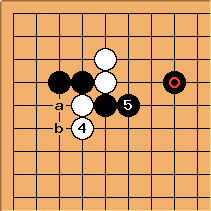 b leads to the driving tesuji. c and d are also pro plays. 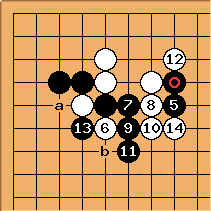 After net, White at a is honte, but White could consider pincering Black's marked stone. Driving tesuji - but Joseki too. It has recently (after 2005) been seen more often again in professional play. 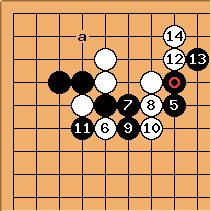 Both given (and some more) variations are included in Takao's Joseki Dictionary. Black's marked pincer stone works so well with that here, which is an obvious move according to crosscut then extend, is hard to play. 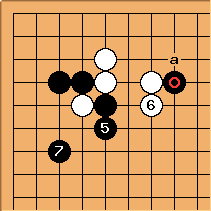 White at a and b have been tried instead.